Reporter: Mr Chan, there seem to be a few contradictory points in your Budget. 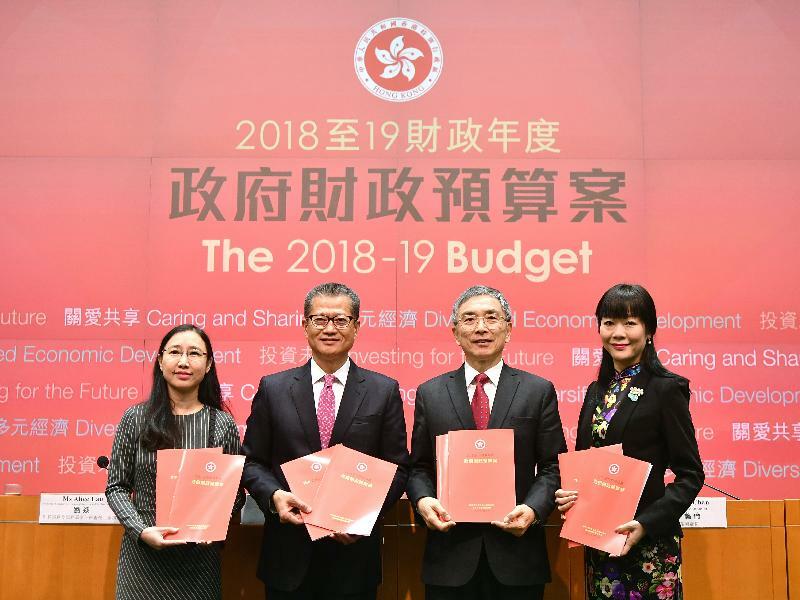 First of all, you have announced a lot of initiatives on economic measures and redeveloping hospitals, but on land resources and housing, you seem to lack any eye-catching initiatives or measures to tackle Hong Kong's problem. So could you explain the reason why? Secondly, another journalist just asked about the "N have-nots" relief measures, because in the past that relief measure was cancelled because the Government is no longer paying the public housing rent for the "N have-not households", but now, while the Government is still not paying for their public housing rents, you have invited the CCF to look at whether to roll out some relief measures. So can you explain why is there such a U-turn? And finally, on education, a lot of people have been expecting the Government to relieve the pressure of the students and especially for them to repay their debts and loans, but instead of really tackling those problems you promised to pay for the DSE (Hong Kong Diploma of Secondary Education Examination) exam fees. Can you explain the reason why as well? Thank you. Financial Secretary: Thank you for your good questions. On the land resources and housing, it is a very important topic touching the heart of every citizen in Hong Kong. We have been monitoring this very closely. This subject is also very close to our heart. We have been monitoring the situation and to address this issue we have to take a holistic view. We have to take a holistic view. There are a number of areas that we are looking at, but at the moment it is not the right time for us to announce anything, but let me assure you that this has never escaped our attention. In terms of land supply, as you know the Task Force (on Land Supply) is working on it, they are going to launch a public engagement exercise probably in April, and by the end of this year they will submit a report to the Government. 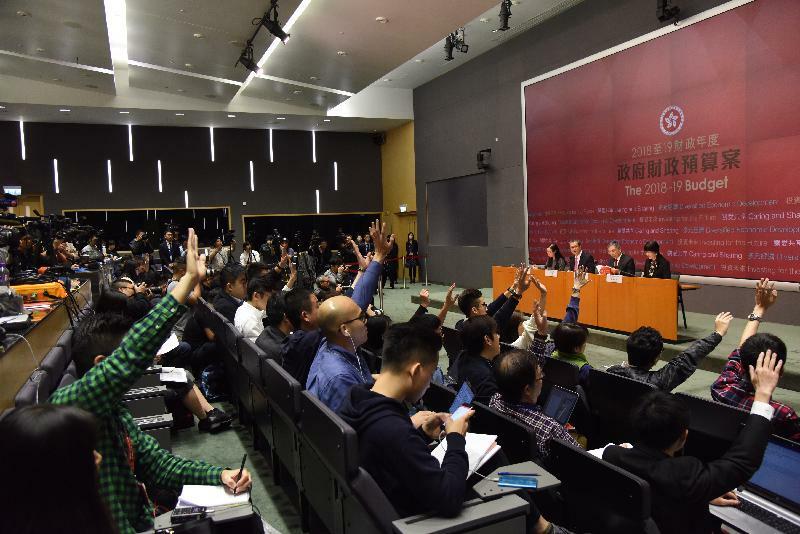 The whole idea is to try to build consensus and, if not, majority views as to the choice that the Hong Kong community should take in tackling the land supply issues. There are also other areas that deserve serious consideration. Say, for example, selling practices. I noticed that there are developments which use tendering for selling their apartments, and the problem with that is that particular exercise out of a total of over 300-some units, they only launch two units for tendering. This is undesirable, so selling practice is another area that the Government will be looking at. Thirdly, I also noticed there is an increase in the number of unsold units in completed developments. How to expedite these unsold units to the market is important. As I mentioned on other occasions, private residential housing supply is on the rise - it is on the rise, that is for sure - and we want to make sure this supply can really come to the market timely. But for the purpose of this Budget, this issue, this particular land and housing issue, would need to be taken forward separately at the highest level of the Government with a holistic view. As to your question about the "N have-nots", I don't think it is really necessary to link the assistance to these "N have-not people" to public housing rental payment. I don't think it is really necessary to link these together. To put it simply, I have come to agreement with the Secretary for Labour and Welfare that in this particular year, in view of the Government's significant surplus and the measures taken by us in sharing the fruits of economic success with the community, the CCF, I mean the Community Care Fund, should do something for the "N have-nots", and he has agreed to that. Finally, on education, by paying the DSE examination fee, we are covering students from a wide range of family background, and I think this is one way to show, although in a very modest way, our care for the younger people. I think your question about student grants and loans can be taken separately. There is no conflict between these two. 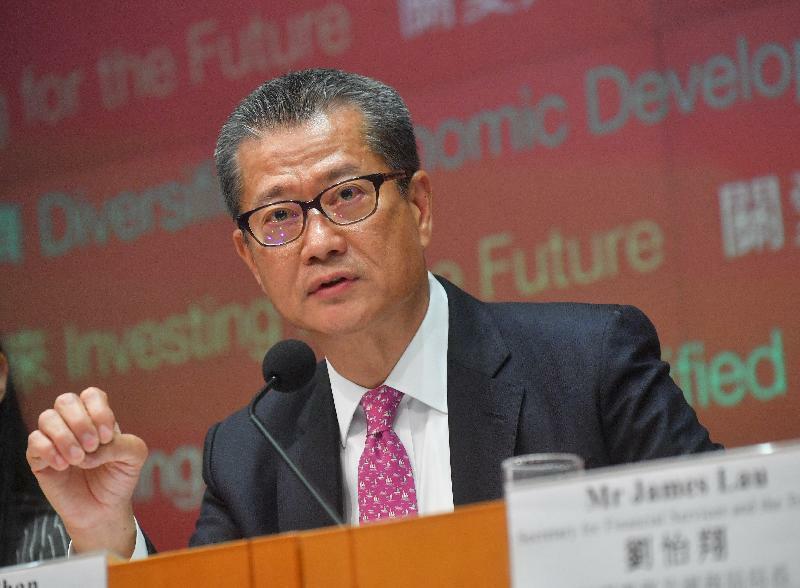 Reporter: Mr Chan, with such an unprecedented surplus, how come like you’re not considering even more tax cuts, like a reduction in salaries tax of up to 100 per cent, and maybe even like giving a cash handout? It seems more reasonable than just like giving out free tickets to Ocean Park. Thank you. Financial Secretary: Thank you for your questions. On the views of the surplus, as I mentioned earlier, we have to look at this in a holistic manner. Firstly, we will look at the nature, the sources of such surplus, and the nature of the income giving arise to this surplus. For this particular year again, the major contributors to the surplus are land income and stamp duty income. When we plan to use the surplus we have to look at the external economic environment and domestic economic situation, and of course take into consideration the aspiration of our people. So, between sharing the surplus in the form of cash handout, and using those surplus to improve, enhance our service, as well as investing into the future, we need to strike a balance. So, this year we used about close to 40 per cent of the surplus in the form of one-off relief, namely salaries tax rebate, profits tax rebate, rates rebate, two months’ extra payment to social security recipients. We do believe, when we hand out cash, when we try to share the fruits of economic success, this has to be targeted, instead of across the board distribution. This is our belief and our principle. As to whether there is room for further reduction in salaries tax, we do think that the changes to the salaries tax system this year is indeed quite a big step forward, because we raised the band width, and also inserted one more band with reduced applicable marginal rate. This (time) we also introduced quite a number of new deductions, say for example the medical insurance scheme, I mean the healthcare insurance scheme deductions. We are also exploring the possibility of allowing additional deductions for MPF contributions. So, this is not a small step - it is quite a big step forward. We would rather prefer to do this in a measured manner, although it is already a bold step forward. We can supplement that by way of, one-off tax rebate. That option is always available to us. So, I do hope that the community can understand the approach that we have taken and the rationale behind. Thank you. Reporter: You said the reason for not handing out cash is to make the assistance more directed to those in need, so now people who don't pay much tax and don't receive CSSA (Comprehensive Social Security Assistance), they receive very little help from the Budget, like several hundred. So does it mean the middle class deserve help, but those working poor who pay little tax or don't take CSSA, they don't deserve the help? And secondly, for the electrical car FRT (first registration tax) "one-for-one Replacement" scheme, so there are comments that it is not attractive enough for people to buy the electric cars. So does it mean the Government is still suppressing the development of these electrical cars? And also, for the surplus for this year the estimate is only $46.6 billion, so do you think there's another mistake or do you think this estimation is even meaningful given that there are so many mistakes before? Thank you. Financial Secretary: There are so many uncertainties, and there are so many volatility in the market, so what we can do is to do our best with reasonable assumptions. But at the end of the day it is the market that determines the final outcome. Take last year as an example. Last year this time people are still concerned about the protectionism advocated by the new US administration. This time last year people were concerned about the situation of Europe, whether it, Europe, would fall apart. Fortunately, all these negative uncertainties did not realise. Global economy on a very widespread basis recovered with very strong momentum and that helped us a lot. So I cannot guarantee that the estimate here will turn out to be 100 per cent entirely correct. What we can do is to base our assumptions on the best available information and assessment and do an educated well-based estimate. As to the promotion of electric cars, the Environment Bureau will announce more details, but to us a subsidy of a quarter of a million is not a small sum and we do think that this is the right amount to be given. Otherwise, the used cars in the garage may be used as another trade item. Thirdly, on middle class we have been trying very hard to come up with a comprehensive package on a targeted basis. We do hope that, one way or the other, directly or indirectly, people will benefit from this package.